USA Standard Master Overhaul kits let you finish your install with confidence. Included are carrier bearings and races, pinion bearings and races, pinion seal, complete shim kit, ring gear bolts, pinion nut, crush sleeve, oil baffles and slingers, thread locker, marking compound with brush and gasket. 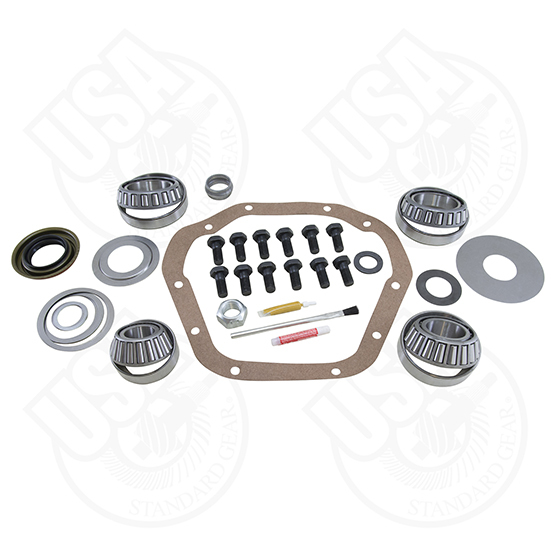 Kits contains everything for complete differential regear/installation.